When will be At Last the 1948 Show next episode air date? Is At Last the 1948 Show renewed or cancelled? Where to countdown At Last the 1948 Show air dates? Is At Last the 1948 Show worth watching? 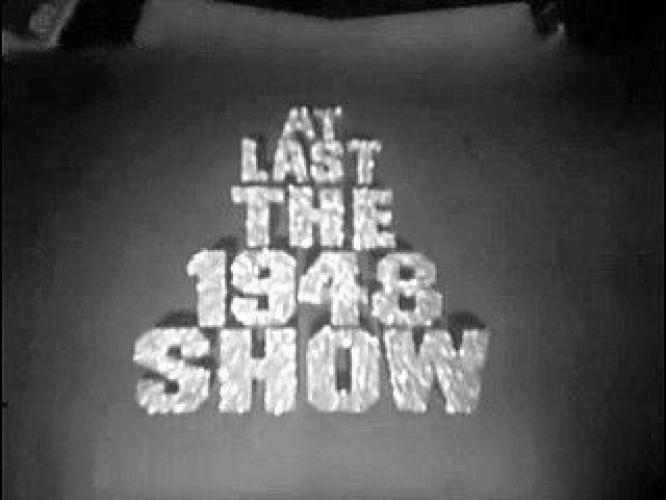 At Last the 1948 Show is a satirical TV show made by David Frost's company, Paradine Productions, in association with Rediffusion London. Transmitted on Britain's ITV network from February 15, 1967. The show starred Tim Brooke-Taylor, Graham Chapman, John Cleese, Marty Feldman and Aimi MacDonald. Cleese and Brooke-Taylor were also the programme editors. At Last the 1948 Show next episode air date provides TVMaze for you. EpisoDate.com is your TV show guide to Countdown At Last the 1948 Show Episode Air Dates and to stay in touch with At Last the 1948 Show next episode Air Date and your others favorite TV Shows. Add the shows you like to a "Watchlist" and let the site take it from there.